AEROPAK, a brand designed by our Australian partners, was born for the world market with a consistent in look andquality. Aeropak is positioned as amature, consistent, western style supplier of reliable, quality products withfull retail sales support. CAPTAIN: A Reliable Quality & Trusted Brand, recommended by the honored Captain, offering quality aerosol products,including spray paints and car care products, and also industrial use products. It always brings you confidence andtrust! KINGJOIN is the brand for our adhesives and sealants. It is born with royal kingdom blood, which brings you greatadhesiveness to draw our attention and pull our hearts together. When the kings join together, great power arises,and a new & powerful world is there. 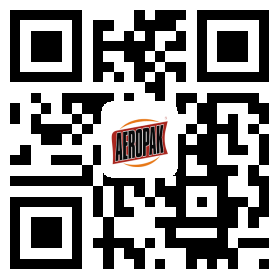 AEROPAK SPRAY PAINTS WILL BRING YOU THE BEST QUALITY SPRAY PAINTS, MARKING PAINTS AND OTHERS. AEROPAK AUTOMOTIVE PRODUCTS INCLUDE CLEANERS AND DEGREASERS, CAR INTERIOR AND EXTERIOR CARE, CAR PAINTS, CAR POLISH, ENGINE CARE, TYRE REPAIR, ETC. AEROPAK EMERGENCY PRODUCTS INCLUDE: TYRE SEALER INFLATOR, TYRE SEALANTS, TYRE PATCH, SEAL STRING, ETC. Aeropak in 123 Canton Fair, Area C, Hall #14, 4th Floor, Line L46-47. We will attend the EISENWARENMESSE Fair Apr4-7, 2018, in Cologne, Germany. Our booth number is 3.1C069. Welcome to visit us. Shenzhen i-Like Fine Chemical Co., Ltd. is a wholly owned subsidiary of i-Like Industries Group, specializing in the production of aerosol products such as car care products, spray paints, etc. We have 4 main brands：爱丽客，AEROPAK, CAPTAIN, and KINGJOIN. Aeropak is now looking for long term distribution and sales partners, building a long-term ongoing relationship where we supply a complete professional product and package to the wholesalers, retailers and customers. In year 2013, we visited Pakistan, and met with Punjab Chief Minister of Pakistan. We Shenzhen Chamber of E-Commerce were hornored to be invited to attend the SPIEF 2015, and we were lucky to meet our China Vice Chairman Mr. Li Yuanchao, who is very interested in our report of Chinese e-business, especially the cross-boarder ecommerce development in Shenzhen. And from that meeting, China post great attention in the development of ebusiness around the whole country. Vice Chairman Member of Shenzhen Chamber of E-Commerce Director Member of Guangdong Chamber of E-Commer 2012 Alibaba Guangdong Top 10 Netreprenours We have lots of certificates such as TUV, RoHS, REACH, etc Member of Guangdong E-Merchants Club We are on-site audited by SGS On-site audited by BV.